Somehow, we missed out on the 80th anniversary of the founding of Jidosha-Seizo Co., Ltd., on the day after Christmas in 1933. 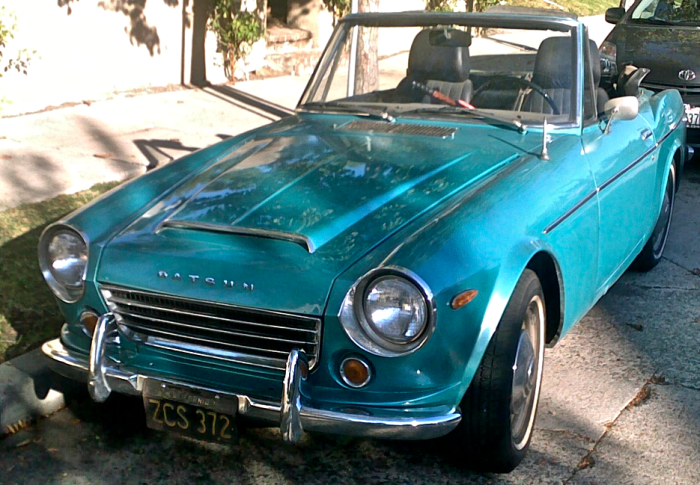 The company, later known as Nissan, commenced to build Datsun cars and trucks, shortly thereafter, including this stellar 1969 2000 Roadster which did everything that an MG-B of the time did except break down regularly. These Datsun roadsters, which bore the Fairlady name in the home market, deemed not macho enough for American sports car enthusiasts , helped add glow to the brand whose bread and butter vehicles were less glamorous small cars and compact trucks. Datsun pickups, such as this one that has been decorated with a symbol that might be associated with imperialist interventionism, were the leading edge in the small truck revolution that began in the 60s. 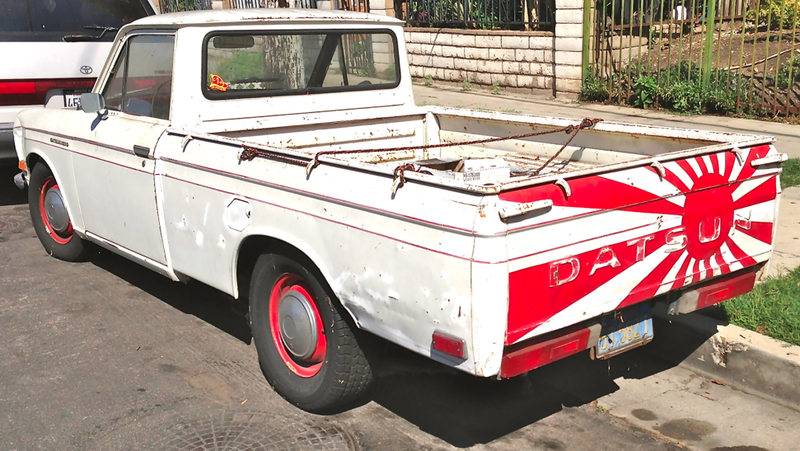 We doubt that the legions of pool men, pizza delivery guys and gardeners who flocked to Datsun’s rugged and appropriately-sized offerings, had any designs on Manchuria or The Philippines. Datsun’s 510 line — badged Bluebird in Japan — built the brand’s reputation for quality and value. We found a splendid 1970 white wagon that illustrates the classic appeal of the car’s tasteful design. These were terrific rally cars and known as “the poor man’s BMW,” a reference to some engineering similarities with BMW’s 1600/2002. 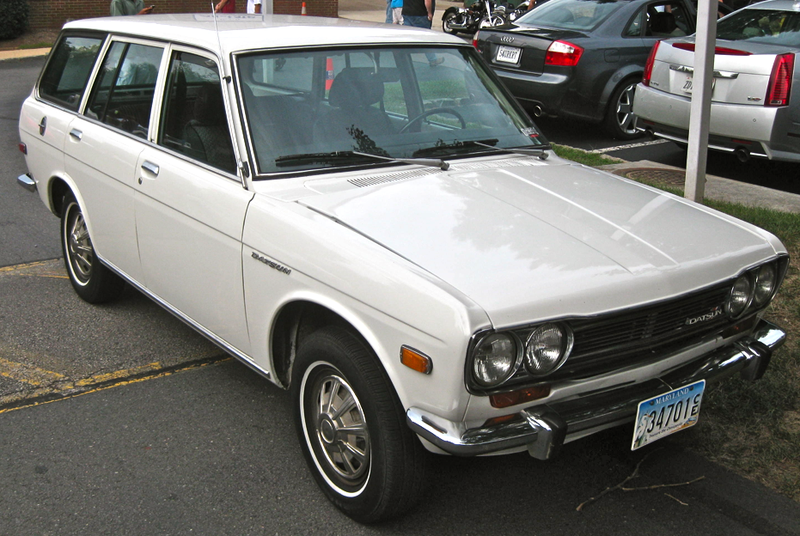 The 510 was Datsun’s “big” car, the smaller offering being the 210 and 1200, known as the Sunny outside North America. We like this 1971 1200 Coupe, riding on some gnarly aftermarket wheels and tires, finished in sunburned orange with vanilla highlights like a Creamsicle® ice cream pop, a.k.a. 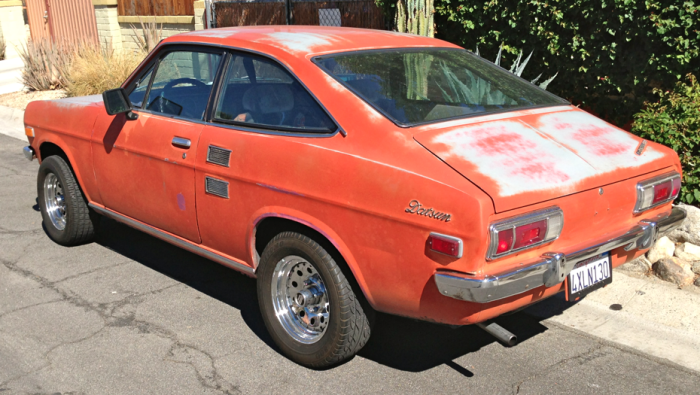 “50/50 bar.” The “Datsun” script on the rear fender is “classique” to our eyes. Too much sun for Sunny? The Datsun name was abandoned and all products from the mid-1980s onward were sold as Nissans. Now in its 80th year, Nissan has seen fit to relaunch the Datsun brand with a focus on basic products marketed in developing countries. Do we qualify? The corporate image folks at Nissan offer this 3 minute video history of what’s happened since December 26, 1933. Domo arigato! Here’s a much better than fair Fairlady that you can make your own for the right price. 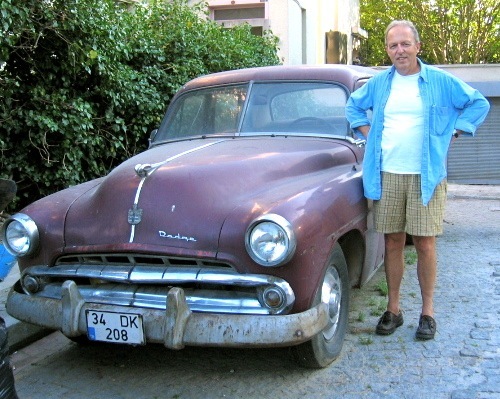 This entry was posted in BMW, Datsun, Nissan, Uncategorized on 12/29/2013 by feralcars. 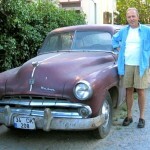 At one time this was one of, if not the cheapest car you could buy. 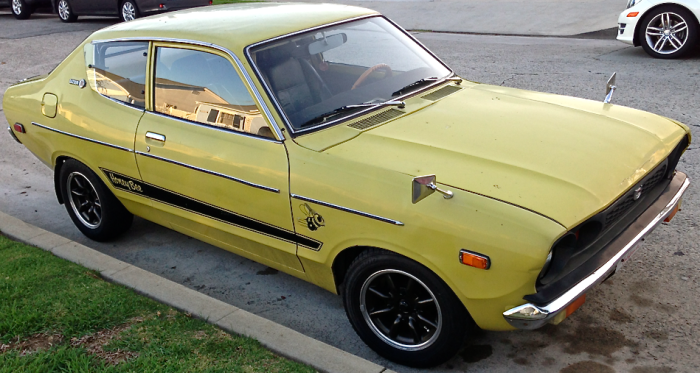 A bottom of the line Datsun B-210 dressed up like a bumble bee signaled to the world, “Hey, this is all I can afford and I’m willing to accept this nutty paint scheme to save money.” It got 41 mpg so maybe worth the potential ridicule. This ’76(?) example sports Japanese home market style fender mirrors and maglite type wheels. Ouch! It stings! This entry was posted in Datsun, Nissan on 09/06/2013 by feralcars.